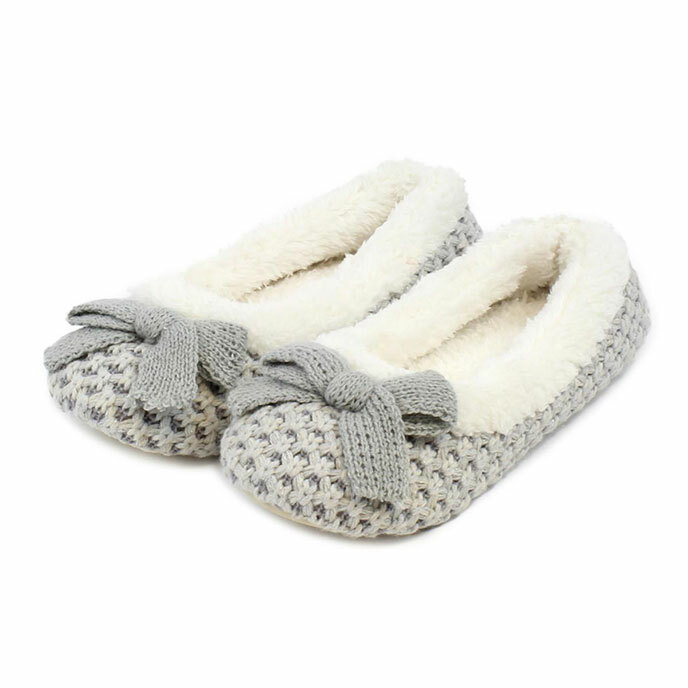 Our waffle knit ballet slippers are the perfect choice this Autumn/Winter. With warm, super-soft lining, a soft sole with slip-resistant tread and cute bow detailing, you'll feel both comfortable and stylish. Machine washable at 30 degrees. Wash with similar colours together.